PKV-06 stainless steel hydraulic pilot controlled non-return valve for oil or water hydraulics. Please enter Read more below for ordering. 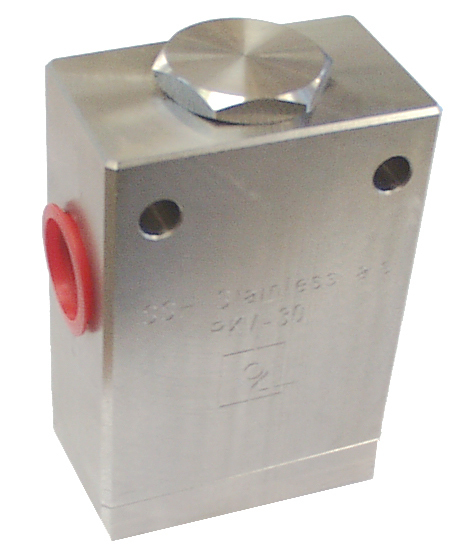 PKV-30 stainless steel hydraulic pilot controlled non-return valve for oil or water hydraulics.